An adjective is a describing word. An adjective gives more information about something. An adjective generally describes a noun. A noun is a person, a thing, or a place. 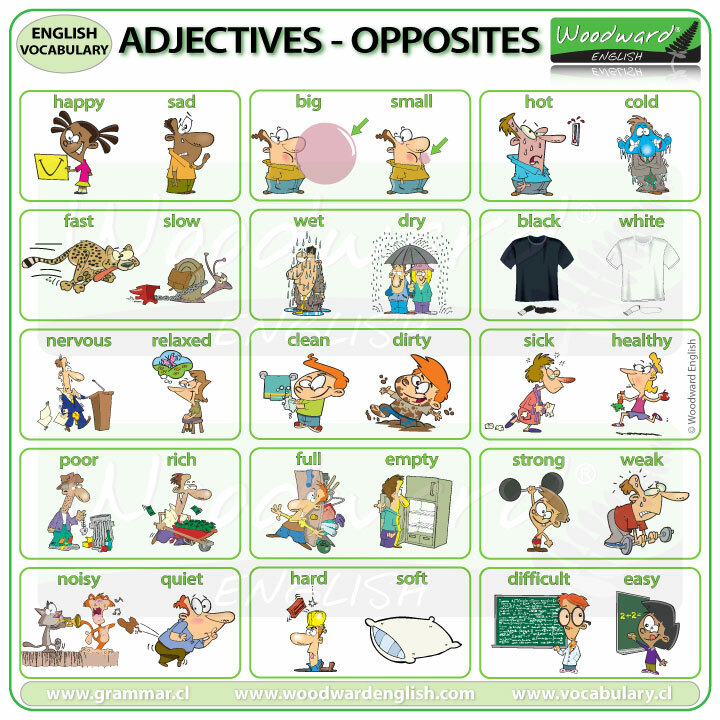 Here we have a list of common adjectives and the opposite of each one. 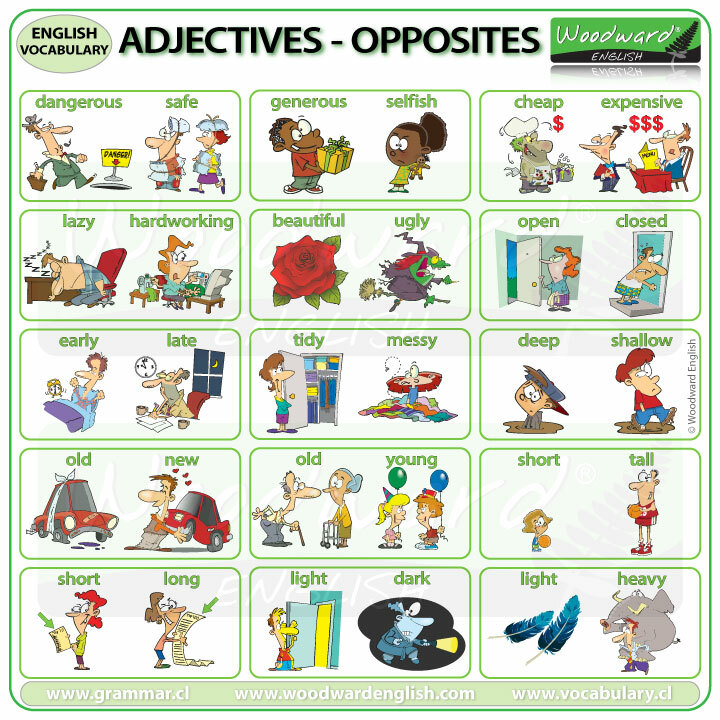 See our Adjectives – Opposites charts that can be used in your classroom.